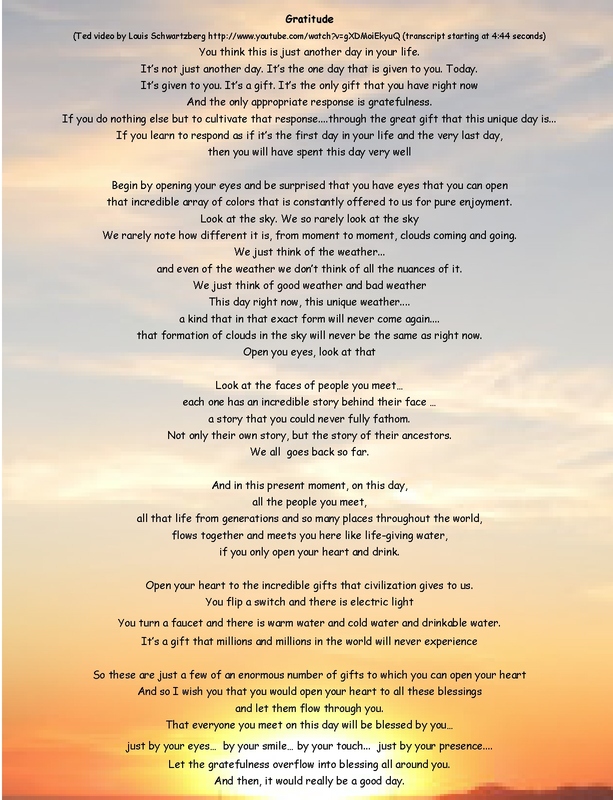 A wish for today….a wish for us all…. 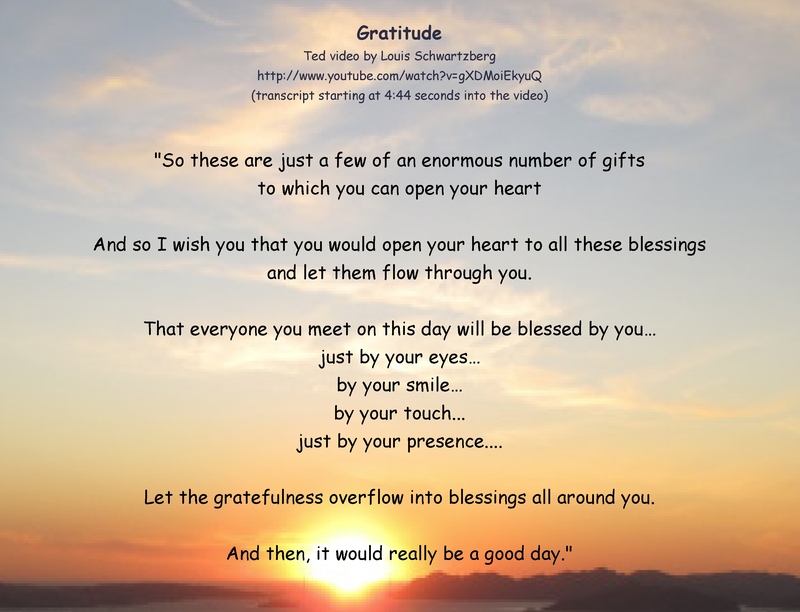 “Let the gratefulness overflow into blessings all around you. This entry was posted in Gratitude, Thankfulness and tagged Awareness, Gratitude, Happiness, Inspiration, Life, Love, Mindfulness, Spirituality, Wisdom. Bookmark the permalink. We enjoyed the gift of today ~ a walk on the beach, admiring the blue sky, watching the parade, eating yummy food, going for a bike ride, talking to family, inviting a friend over, petting the cat, eating more yummy food, and PIE! Recently I wrote a Post on It’s Just Another Day but this post really puts it all into perspective. Enjoy! Happy the ideas are being shared. I read somewhere… that TED video is the most viewed of all the TED video series…such wonderful photographs, music and ideas in it! Thank you Judith and Pocket Perspectives. I pinned this – http://pinterest.com/pin/147141112797099837/. Grateful to both of you. 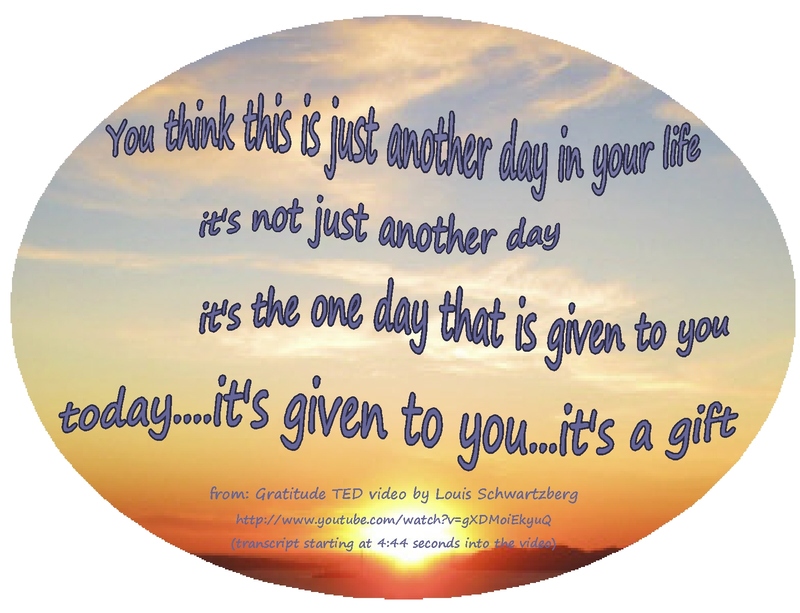 You’re here on Pocket Perspectives… I’m so happy you enjoy the Gratitude video and ideas! And thanks to Judith for passing them along! 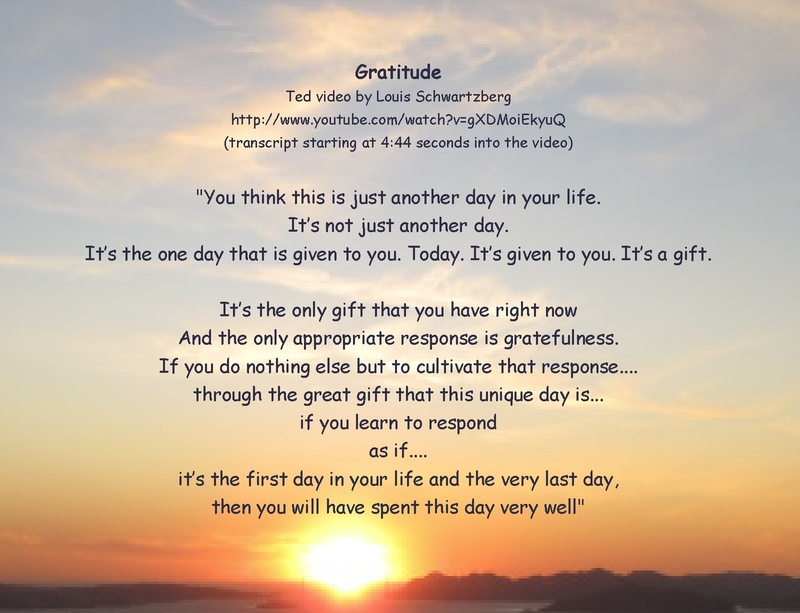 Thanks to my blogging community I have realized that every day is a gift, Kathy! (ps Love TED) I’m linking this post if that’s ok with you. Reblogged this on GP and English tuition by top NUS grad. Happy to share…. I hope your students are able to taken in the encouraging and positive messages in the video. I came back to read this post and listened to the Gratitude video. So grateful it was closed captioned as I got to truly enjoy the message. Thank you for sharing this. Marie, I didn’t realize until last week that the video is closed captioned…my daughter J. told me and I was so surprised! I wonder if it was closed captioned all along? To get the transcript, I had listened, paused, typed…over and over again…how much simpler it would have been to have noticed closed captioning! ? But the ideas are so wonderful that by doing that I probably took in the ideas even more deeply. And what a wonderful surprise to find out that the writer and narrator was/is Brother David Keindl-Rast, a remarkable person. 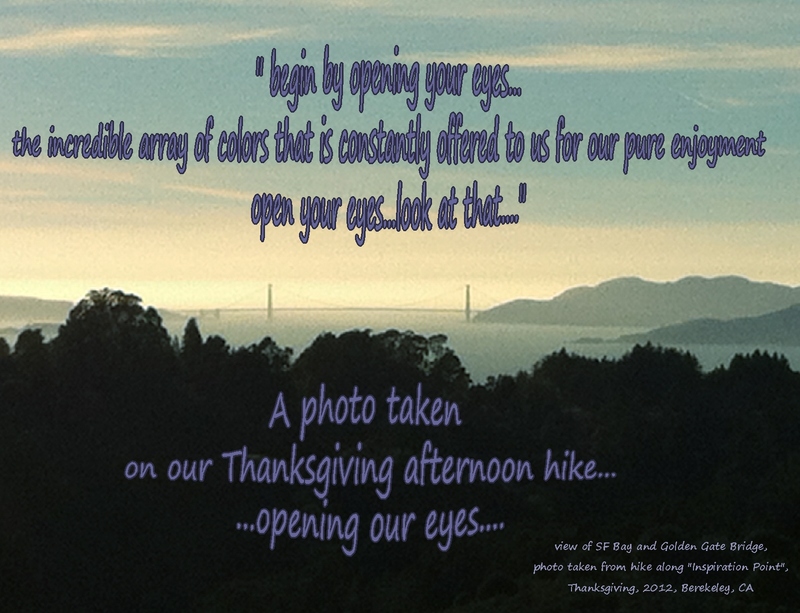 I’m so happy that you got to follow along with the text and images….isn’t it so special?